We are still busy sharing the delights of the Caribbean with this season’s sailing holiday guests but are lucky to be getting lots of enquiries for next year already. As such we wanted to share Nemo’s sailing holiday schedule for the 2018-19 season. 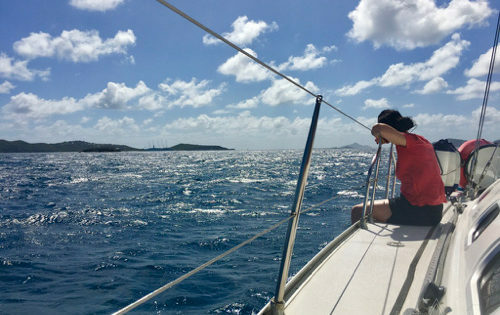 We plan to sail from Grenada to the US Virgin Islands and back again between November and July, so you have a chance to experience many of the amazing islands in the Virgin, Leeward and Windward islands. 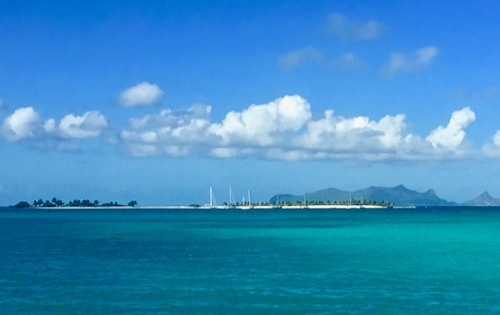 We will return to the British Virgin Islands and US Virgin Islands and will also continue our sailing holidays in the lovely waters around Grenada, St Vincent & The Grenadines, St Lucia, Martinique, Dominica and Guadeloupe during our 2018-2019 season. 7-night island hopping holidays give you shorter sails between islands usually in the waters of one country. 9-night sailing adventures give you inter-island sailing between countries and the opportunity to build-up your sailing miles in paradise. We have four en-suite double cabins on Nemo and we are commercially licensed to take up to six guests. We can welcome four solo travellers; two or three couples; one couple and three solo travellers etc. To ensure comfort for all our guests joining us on a shared cabin charter we usually have four guests per sailing trip, five if the cabin layout allows it. If groups who know each other book we can accept up to six guests. Choose one of the sailing trips below, or if you see something you like but want to make a few tweaks, get in touch and we will do our utmost to accommodate you! Changes could include reducing or adding days, adding an island or a night sail. Click on the links below to get detailed sailing trip overviews. There you will find itinerary overviews, google route maps, airport information and pricing for all our yacht charters next season. Trip 1 – Saint Lucia to Grenada Adventure Sailing Vacation. Tuesday 27 Nov to Tuesday 4 Dec 2018. Fully Booked. Friday 7 Dec to Sunday 16 Dec 2018. 9-nights from US$ 2,790. 3 Cabins available. Sunday 30 Dec 2018 to Sunday 6 Jan 2019. 7 nights from US$ 2,595. 2 Cabins available. Saturday 12 Jan to Saturday 19 Jan 2019. 7 nights from US$ 2,360. 2 Cabins available. Friday 25 Jan – Sunday 3 Feb 2019. 9 nights from US$ 2,790. 1 Cabin available. Saturday 8 Feb – Saturday 17 Feb 2019. 9 nights from US$ 2,790. 1 cabin available. Tuesday 19 Feb to Sunday 24 Feb 2019. Fully Booked. Wednesday 27 Feb to Wednesday 6 March 2019. Fully Booked. Friday 15 to Sunday 24 Mar 2019. Fully Booked. Friday 29 March to Friday 5 April 2019. Fully Booked. Sunday 7 Apr to Sunday 14 Apr 2019. 7 nights from US$ 2,360. Fully booked. Friday 19 Apr to Sunday 28 Apr. 9 nights from US$ 2,790. 1 Cabin available. Sunday 5 May to Sunday 12 May 2019. 7 nights from US$ 2,360. 3 Cabins available. Fri 17 May to Sun 26 May 2019. 9 nights from US$ 2,790. Fully Booked. Trip 17 – St Lucia to Grenada including the beautiful St Vincent & The Grenadines. Fri 31 May to Sun 9 June 2019. 9 nights from US$ 2,790. 2 Cabins available. Fri 14 Jun to Sun 23 Jun 2019. 9 nights from US$ 2,790. 4 Cabins available. Fri 28 Jun to Sun 7 Jul 2019. 9 nights from US$ 2,790. 2 Cabins available. Fri 12 Jul to Sun 21 Jul. 9 nights from US$ 2,790. Fully Booked. Thanks for reading our sailing holiday schedule update. If you have any comments or feedback on our article, please share below. Or, if you want to book a shared yacht charter with us, please do get in touch and get more details! We look forward to welcoming you on board Nemo. We offer sailing holidays in the Caribbean. Join us on board a shared yacht and experience an unforgettable crewed cabin charter. Book a cabin for your sailing vacation – ideal for solo and single travellers, couples and small groups. Relax and recharge. Enjoy delicious healthy food. 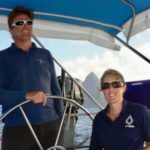 Get hands-on sailing experience with an RYA sailing instructor. And, have lots of fun as we sail from one beautiful island to the next. Sail in style with BlueFoot Travel. This year we are offering crewed cabin charters around the Caribbean. © 2019 BlueFoot Travel. All rights reserved. Get special offers, unforgettable holiday ideas and more! Sign up today and get $50 off your first booking! SIGN ME UP RIGHT NOW!